Habitat : Throughout india among hedges & bushes. Uses : The roots are bitter, sweet thermogenic emollient, stimulant, purgative, aphrodisiac, diuretic. The leaves are aphrodisiac. 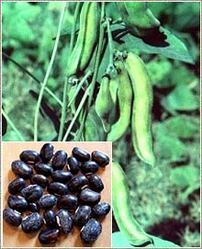 The seeds are astringent, laxative, anthelmentic, alexipharmic and tonic. Roots are considered useful to relieve constipation, nephropathy, strangury and ulcers. Leaves are aphrodisiac and useful in cephalagia and general debility.